In medicine, sonograms are tests using sound waves in the ultrasonic frequency (3.5-7.0 MHz) to produce images of the fetus & internal organs. Sound waves are projected into the body by a probe, or transducer, and reflected back (echo) to produce an image on a monitor. Depending on the density of the structure being interrogated, the echoes are interpreted as fluid, tissue, or bone. Since its introduction in the late 1950’s, ultrasonography has become a very useful diagnostic tool in Obstetrics. 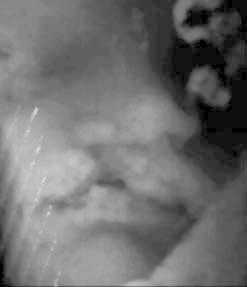 Sonograms are currently considered to be a safe, non-invasive, accurate and a cost-effective investigation of the fetus. It has progressively become an indispensable tool and plays an important role in the field of obstetrics. 3D ultrasound can furnish us with a 3 dimensional image of what we are scanning. 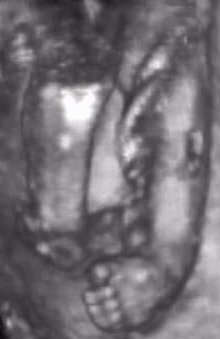 The transducer takes a series of images, thin slices, of the subject, and the computer processes these images and presents them as a 3 dimensional image. Using computer controls, the operator can obtain views that might not be available using ordinary 2D ultrasound scan. Further 2D scans may be extracted from 3D blocks of scanned information. Volumetric measurements are more accurate and both doctors/midwives and parents can better appreciate a certain abnormality or the absence of a certain abnormality in a 3D scan than a 2-D one and there is the possibility of increasing psychological bonding between the parents and the baby. An increasing volume of literature is accumulating on the usefulness of 3-D scans and the diagnosis of congenital anomalies could receive revived attention. Present evidence has already suggested that smaller defects such as spina bifida, cleft lips/palate, and polydactyl may be more lucidly demonstrated. 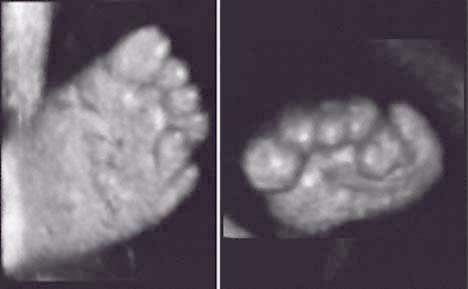 Other more subtle features such as low-set ears, facial dysmorphia or clubbing of feet can be better assessed, leading to more effective diagnosis of chromosomal abnormalities. The study of fetal cardiac malformations is also receiving attention. More recently 4D scanners are in the market and the attraction of being able to look at the face and movements of your baby before birth was also enthusiastically reported in parenting and health magazines. This is thought to have an important catalytic effect for mothers to bond to their babies before birth. Most experts do not consider that 3D and 4D ultrasound will be a mandatory evolution of our conventional 2D scans, rather it is an additional piece of tool like Doppler ultrasound. Most diagnosis will still be made with the 2-D scans. 3-D ultrasound appears to have great potential in research and in the study of fetal embryology. It has been over 40 years since ultrasound was first used on pregnant women. Unlike X-rays, ionizing irradiation is not present and embryotoxic effects associated with such irradiation should not be relevant. The use of high intensity ultrasound is associated with the effects of "cavitation" and "heating" which can be present with prolonged insonation in laboratory situations. Although certain harmful effects in cells are observed in a laboratory setting, abnormalities in embryos and offsprings of animals and humans have not been unequivocally demonstrated in the large amount of studies that have so far appeared in the medical literature purporting to the use of diagnostic ultrasound in the clinical setting. Apparent ill-effects such as low birth weight, speech and hearing problems, brain damage and non-right-handedness reported in small studies have not been confirmed or substantiated in larger studies from Europe. The complexity of some of the studies have made the observations difficult to interpret. Every now and then ill effects of ultrasound on the fetus appears as a news item in papers and magazines. Continuous vigilance is necessary particularly in areas of concern such as the use of pulsed Doppler in the first trimester. The greatest risks arising from the use of ultrasound are the possible over- and under- diagnosis brought about by inadequately trained staff and using poor equipment. Diagnostic ultrasound studies of the fetus are generally considered safe during pregnancy. This diagnostic procedure should be performed only when there is a valid medical indication, and the lowest possible ultrasonic exposure setting should be used to gain the necessary diagnostic information under the as low as reasonably achievable (ALARA) principle.